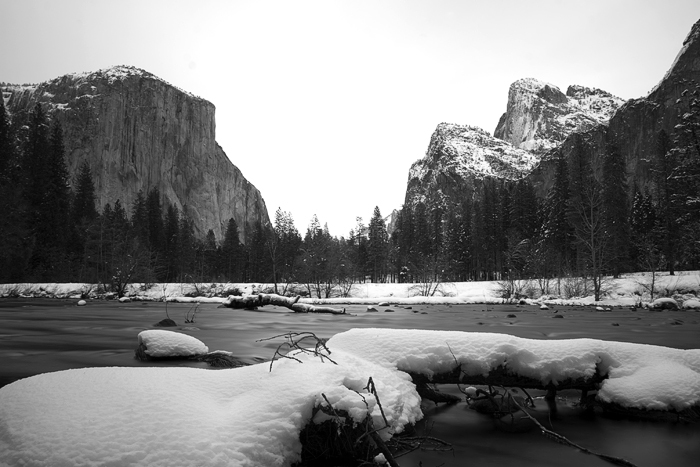 My first full day in Yosemite. Being a noob, I didn't really know where to go, but you inevitably spot people with tripods off the side of the snow-plowed roads. 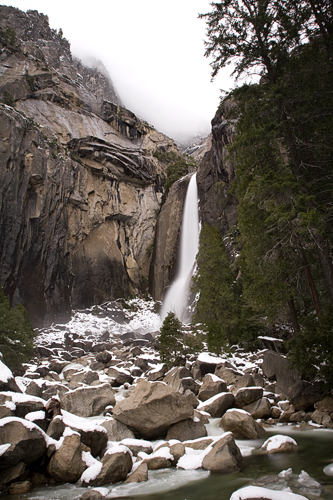 The photo below, looking toward Bridal Veil Fall, was the first such stop. Another popular spot is aptly known as Valley View. 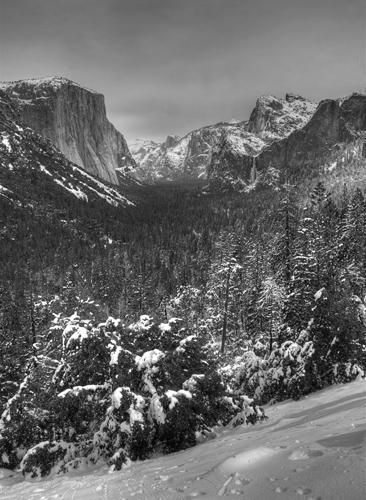 The Tunnel View viewpoint gives you the classic Yosemite valley shot. I wanted to do an all black and white post, but I like this photo better in color. This is a closer look at Bridal Veil Fall. 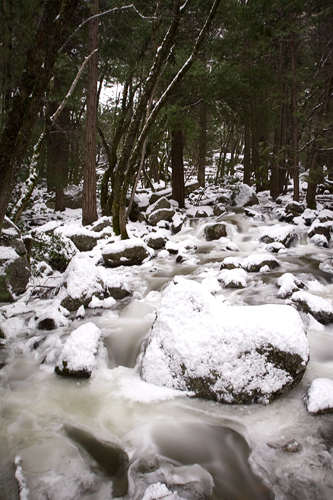 It was a short and very icy (read: slippery) walk to the viewpoint. 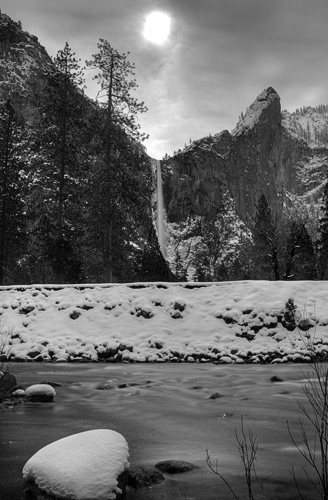 I figured I might as well go half and half on black and white versus color. This is downstream of Bridal Veil Fall. 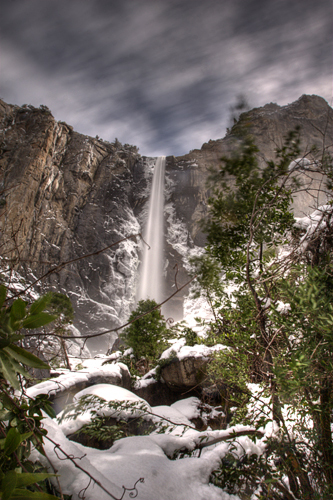 Finally, here is a shot of Lower Yosemite Fall. Lovely photos! I would love to see this in person! Until then, these will be fine!